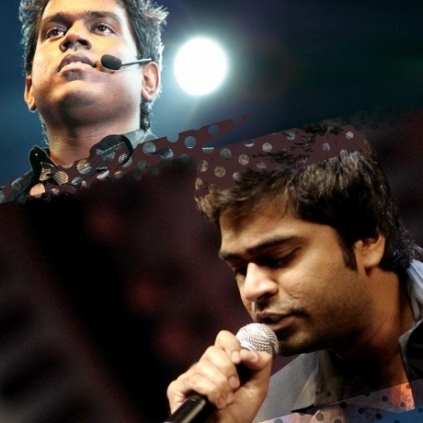 Few days back, it was confirmed that STR’s Anbanavan Asaradhavan Adangadhavan (AAA) music will be composed by his close friend and music director Yuvan Shankar Raja. It was also told that the film will comprise of 9 songs. Among the 9 songs, looks like the first song is done. Yes. This was confirmed through the actor’s official twitter handle. “#AAA 1st song composing over....#TrendSong a new age love song from the #LoosuPenne n #YevandiUnnaPethan combo #YSRnSTR @thisisysr” STR tweeted. Going by the tweet, this song is said to be a trendy love song and when STR is on board (who is known for giving chartbuster songs), the fans expectations are sure to rise. Stay tuned for more updates about AAA. Resul Pookutty bags yet another award! What Is That Beautiful Line STR Will Tell Manjima? People looking for online information on Anbanavan Asaradhavan Adangadhavan, Str, Yuvan Shankar Raja will find this news story useful.